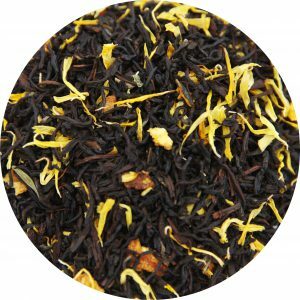 Firsd Tea’s version of this classic tea shines with a burst of color from real orange peel and marigold flowers plus a distinct ripe and fruity bergamot flavor. Assam black tea gives a deep golden hue and brisk cup. Serve hot or iced, traditionally with a lemon slice or milk. Contains caffeine. Allergen free. Non-GMO. 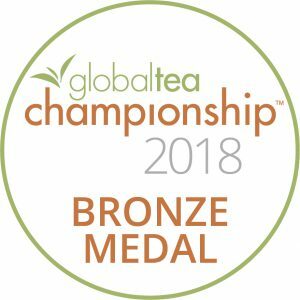 Black tea, marigold flower petals, natural flavor, and orange peels. Assam provides briskness and body, and the natural bergamot oil and orange peel exude the citrus charm Earl Grey is known for. When combined, the cup is bold and aromatic – anything but cloying.